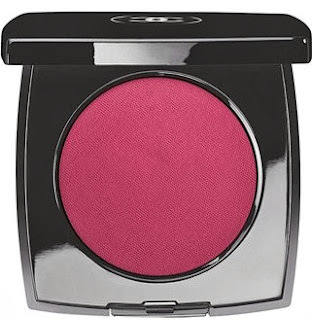 Spring makeup strikes a colourful chord with light, joyful notes. At the heart of the collection, a chorus of fresh, luminous reds sets the season’s tone for cheeks, lips and fingertips. So far the only information I have is what's listed below. I will continue to update the post as I get more information so keep checking back or you can reach out to me on twitter. I'm always close by should you have any questions. 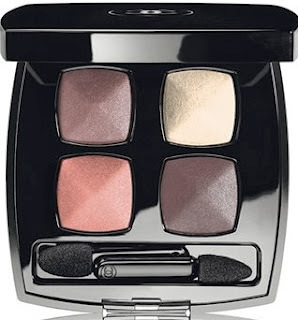 Create unlimited eye looks with this luminous palette, a harmony created exclusively for the Spring 2014 collection. Lavender grey, golden ivory and rosy apricot are united in a joyful Spring accord, accentuated by intense brown. 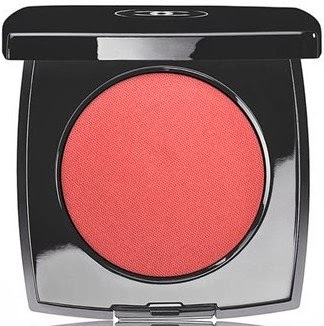 Versatile formula can be applied dry for subtle shading, or dampened for more intense colour. Dermatologist tested. From COLLECTION NOTES DE PRINTEMPS. 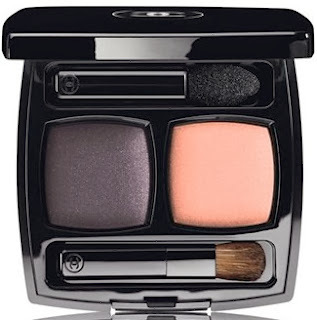 This foolproof pairing of complementary shades - in two unique textures - is housed in one convenient compact. The softly shimmering light shade is a creamy powder, which can be worn alone for a luminous effect or as a base to extend the wear of the accompanying deep-toned shadow. The dark shade has intense micronized pigments for true color application and a matte finish to create depth and contour. Two applicators are included: a foam tip to apply the shadows and a brush to blend. The intensely shimmering long-wear eyeshadow offers true versatility. An innovative gel texture that is both soft and cushion-y allows it to be worn as an eyeshadow or eyeliner. Includes a specially designed shadow/liner brush, developed specifically for the unique formula. 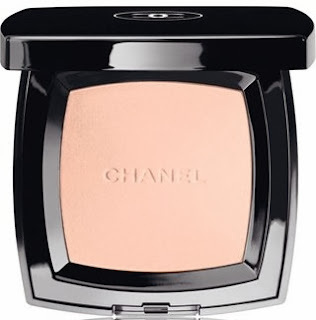 CHANEL POUDRE UNIVERSELLE COMPACTE pressed powder covers your skin in a translucent, natural matte finish while setting your makeup or providing you with an easy touch-up. The ultrafine, lightweight formula features light-reflecting pigments and a luxurious soft feel to give you a beautiful, radiant look. An innovative powder-cream formula offers an enticing new way to blush with sheer yet vibrant pigments for instant luminosity. The silky texture offers a long-wear satin finish—soft and comfortable for every skin type—and is simple to apply with fingertips or brush. CHANEL introduces a modern interpretation of classic creme lip color as an homage to the rich life and legacy of Coco Chanel. New lightweight lip color glides on for easy application, and features a Hydratendre complex to help soften, soothe and condition lips—even boosting their ability to hold in moisture—for a plumper, smoother and healthier-looking appearance. A range of wearable shades with full-coverage finishes, from matte to pearl to soft shimmer. 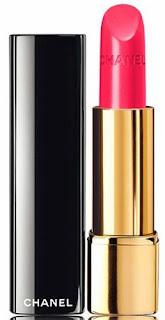 The next generation of ROUGE ALLURE dresses lips with unmistakable attitude. The formula includes concentrated, ultra-thin pigments to offer radically intense color with full coverage and a satin finish, leaving lips supple and protected with lasting comfort. 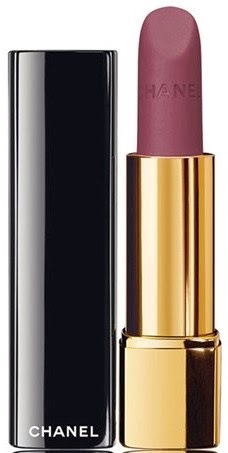 Elevating matte to a new elegance, this next-generation, non-drying matte lipstick glides on lips with intensely rich color and a sumptuously soft, velvet matte finish. 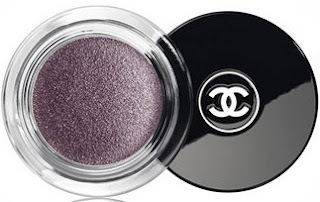 Gorgeous shimmer and a high-shine glow is delivered effortlessly to lips with just one stroke of CHANEL’s best-selling lip gloss. A wide range of shades, from sheer and natural to sparkling and rich, look beautiful on their own, or over your favorite CHANEL lipstick. Equally beautiful is the conditioning formula's comfort and deep hydration. Creamy-textured pencil offers precise lip lining, to emphasize and maximize the shape of your lips with long-lasting colour. Silicones allow ease of application. Vitamin E helps combat free radicals. Built-in brush for blending; comes with double-bladed sharpener. Base Colour Coat: Innovative fluid texture delivers long-lasting performance, comfortable application and perfect adherence to lips - without transferring or feathering. Dries quickly, too. Top Gloss Coat: Clear gloss's soft, non-tacky texture provides high shine and comfort throughout the day. It is available on the Dillards website - just click on the drop down box and it's the last item. Waterproof, long-lasting lip liner. Automatic pencil never needs sharpening. Delivers a precise, professional line. Waterproof formula stays put for hours and hours without feathering or bleeding. It is available on the Dillard's website - just click on the drop down box and it's the last item. Brilliance to your fingertips with must-have colours from the runways of Paris. State-of-the-art formula strengthens and moisturizes nails. Unique patented non-spill bottle with wiping action for easy application. I want these Chanel cosmetics as soon as possible in Japan. Please forgive my poor English.